Roku is releasing a new streaming device in Canada called the Streaming Stick+ on May 1st that features a host of improvements over the streaming hardware giant’s first stick. The Stick+ comes with improved wireless range, a new Roku remote and the device also plays content in 4K HDR. 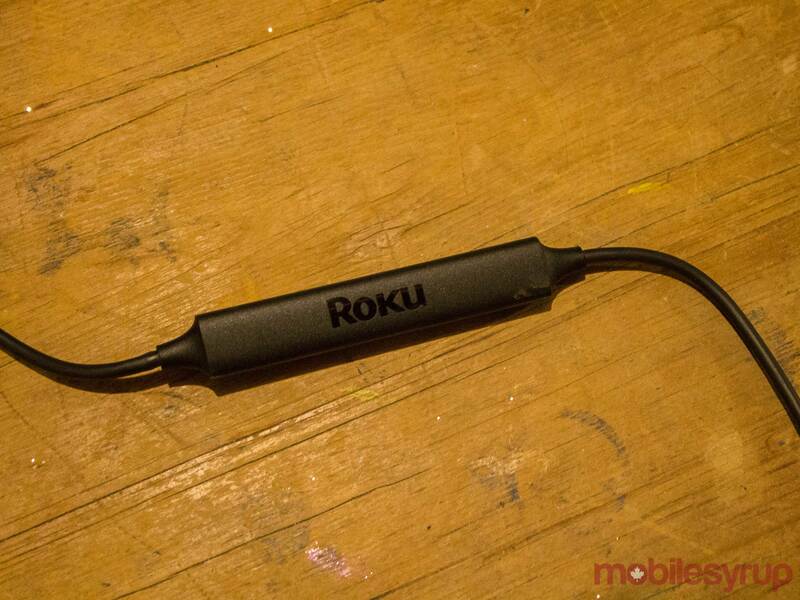 The stick will first be available at Walmart followed by other retailers shortly after, according to Roku. The streaming device comes with a wireless receiver that’s built-in to its power cord. Roku claims that this system offers up to four times better wireless range compared to the previous streaming stick. 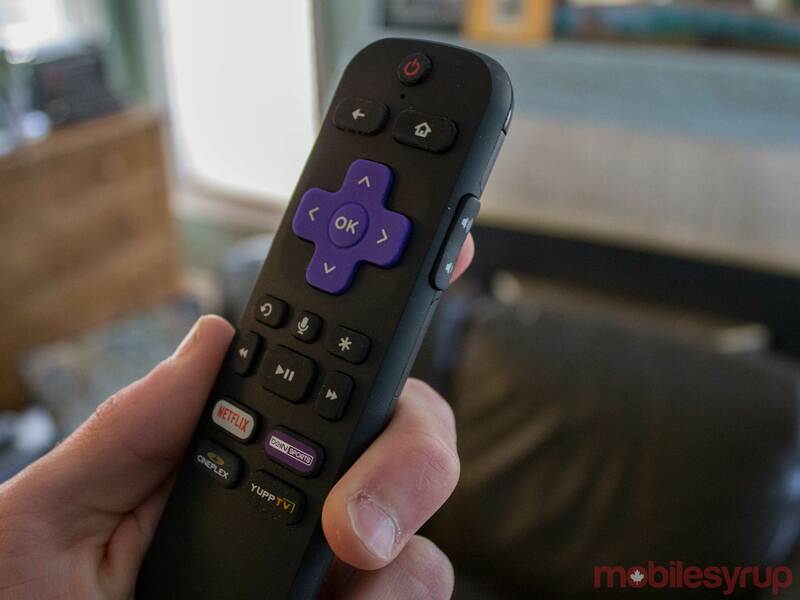 The new remote looks the same as the basic Roku remote with the addition of a power button and volume controls. These new buttons are setup the first time users turns on the Roku and help make the TV experience more streamlined. Further, the stick has also been outfitted with a new quad-core processor that’s able to pushing out 4K HDR content. The stick is also only compatible with HDR10, so users will need to make sure that their TV doesn’t just support Dolby Vision when it comes to HDR. 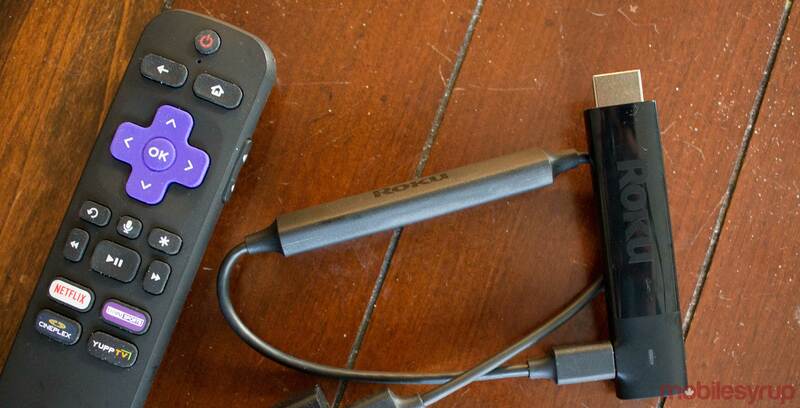 Apart from these new features, the stick offers standard Roku functionality such as the use of the platform’s companion app — which works as a remote, as well as a way to connect headphones, or to cast media to your television. Roku says that the Canadian version of the platform’s store now includes over 5,000 different apps. During my tests with Roku’s new streaming stick I found that it worked great. The new ability for the remote to control both power and volume of the TV was a feature I wouldn’t want to lose. The new Wi-Fi setup really seems to benefit the stick as well. In my tests It was able to stream 4K HDR Chef’s Table and Lost in Space without issues. It also seemed to get better Wi-Fi reception than my Smart TV which ideally means the new stick will work from lots of rooms in a big house. The stick is perfect for a secondary TV in my opinion because if you want a great streaming device with a good remote that make it really easy to use. If you’re a fan of Roku’s OS or your 4K TV doesn’t have the ability to play apps like Netflix this is a great way to make a dumb TV smart. That said, the setup was a little slow and requires users to open up the Roku website to set up a user profile. Once I was able to create a Roku ID, the setup process moved back to the television and was significantly more streamlined. The Stick+ is set to be priced at $90.